Visit historical battlefields and colonial towns, then marvel at the scenery of the Kentucky Bluegrass Country and the spectacular Blue Ridge Mountains. Fly to Washington where you will be met by our representative and transferred to your hotel for an overnight stay. 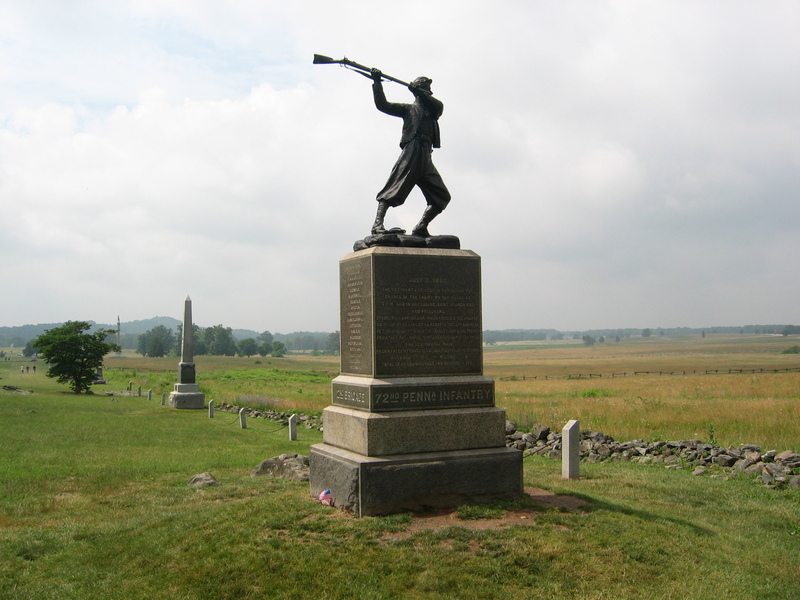 Day 2: Washington DC area – Gettysburg. Today’s included sightseeing with a local guide shows you the graves of American heroes, including those of John F Kennedy and his brother Robert, in beautiful Arlington National Cemetery. 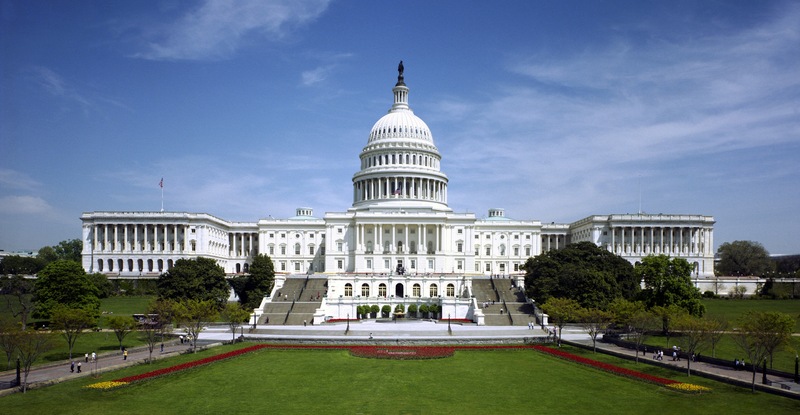 Your guided sightseeing tour of the capital continues with photo stops at Capitol Hill and the White House, and visits to the Lincoln, Vietnam, and National WWII Memorials. Gettysburg – Harpers Ferry – Luray Caverns – Shenandoah National Park. 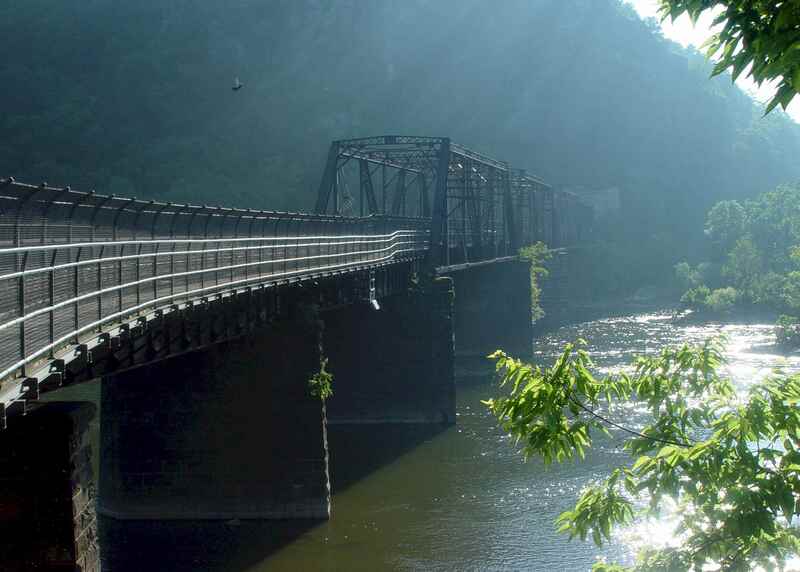 Head for Harpers Ferry, where in 1859 John Brown made his ill-fated raid on the US arsenal. 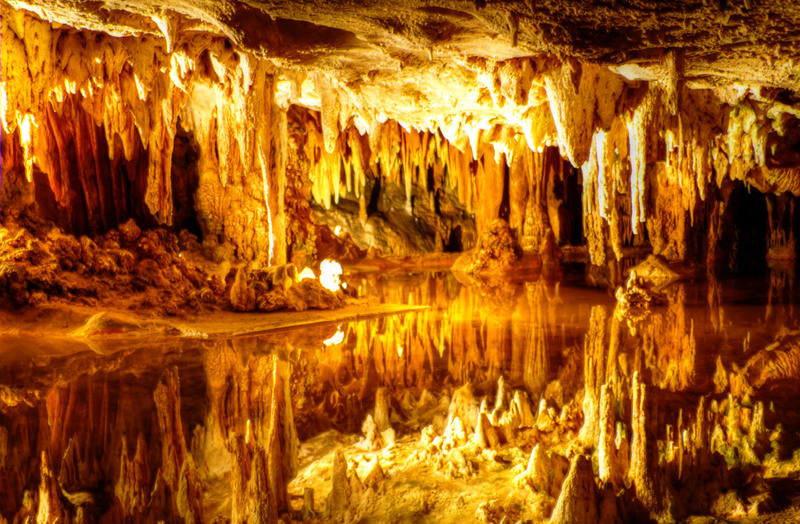 En route, stop at Luray for a guided tour of the spectacular caverns, before continuing up to the crest of the Blue Ridge Mountains with magnificent vistas of the Shenandoah Valley. Shenandoah National Park – New River Gorge – Beckley. 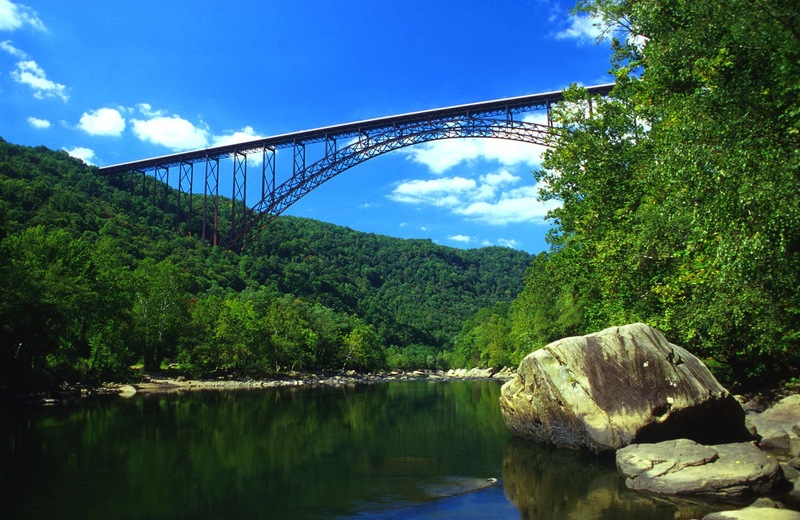 Journey through lumber and limestone country into wonderful West Virginia. After a lunch break in Lewisburg, a Civil War battlefield, travel to Fayetteville with a stop at New River Gorge Bridge, the world’s largest steel-span bridge rising 876 feet above the river. Then on to Beckley, the heart of West Virginia’s ‘smokeless’ coal industry. Before entering Kentucky we stop in the state capital – Charleston, the one time home of Daniel Boone. As you cross the state border, the scenery changes to the green pastures and columned estates of Kentucky bluegrass country and the backdrop for the movie Seabiscuit. Arrive in Lexington, the ‘Heart of the Bluegrass’. This afternoon, it’s time for a fascinating visit to the Kentucky Horse Park. Legends like Man o’ War and Secretariat conquered the racing world from here. The visit includes the International Museum of the Horse, the Hall of Champions, where famous horses from the past enjoy their retirement, the Parade of Breeds, and many other exhibits and demonstrations. Travel the Bluegrass Parkway and stop at Sinking Spring Farm, where Abraham Lincoln was born. A replica of the original log cabin is preserved as a shrine. Next, visit a working whiskey distillery and learn about the production of the very finest Kentucky Straight Bourbon, for which Kentucky is famous. Overnight in Bardstown, Kentucky’s second-oldest city. This morning’s journey takes you along Kentucky’s scenic backroads. After lunch it’s on to Corbin for a short visit to Colonel Sander’s original fried chicken restaurant, which is now a museum. This afternoon, visit the fascinating Museum of Appalachia, with 65 acres of farmland and a number of historic cabins, barns, and other buildings, even a frontier privy! The next two nights are in Gatlinburg, nestled at the foot of the Great Smoky Mountains. 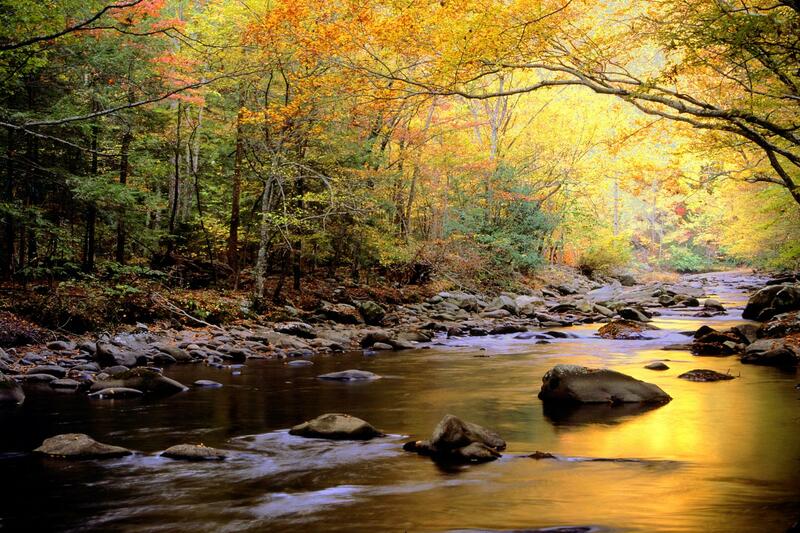 Gatlinburg, one of America’s most popular mountain retreats, offers something for everyone. You might want to spend a day at world famous Dollywood, an 88 acre landscaped theme park inspired by Dolly Parton and her love for the mountains, family, and country music. Tonight’s optional outing features the Dixie Stampede, an action packed evening filled with thrilling horse riding stunts, spectacular special effects, and phenomenal music. Gatlinburg – Great Smoky Mountains National Park – Asheville area. Drive right through the centre of the Smokies, along the spectacular Newfound Gap Road peaking at 5,046 feet, then into North Carolina. Stop at the 7,500 acre grounds of Biltmore Estate, built by George Vanderbilt, grandson of the famous railroad magnate, Cornelius Vanderbilt. Then onto the dramatic Chimney Rock. Take an elevator carved through solid rock up to the granite monolith for views over Hickory Nut Gorge. Overnight in the Asheville area, hometown of American author Thomas Wolfe. Asheville area – Lexington area. The Blue Ridge Parkway runs from the Great Smokies to Shenandoah National Park without a single traffic light along its 470 mile route. Take in a portion of the Parkway today, from Fancy Gap to Roanoke. Stop at the tranquil setting of Mabry Mill, one of the most photographed spots in the country. Upon arrival in Lexington, a guided tour of the Stonewall Jackson House lets you experience the pre-war life of Confederate General Thomas J. ‘Stonewall’ Jackson and introduces you to the man who became a legend. Visit Lee Chapel and Museum, preserved as Robert E. Lee left it for the last time on September 28 1870. Lexington area – Richmond – Williamsburg. The day begins with a visit to Natural Bridge, a 215 foot high arch in a wooded setting, once owned by Thomas Jefferson. George Washington’s initials are still visible on the cliffside, from his work here as a young surveyor. This afternoon’s highlight is the graceful home of the third President, Thomas Jefferson. The estate, named Monticello, reflects Jefferson’s skills as an artist, architect, and designer. It is the only house in the US that is on the United Nations’ World Heritage List of international treasures. We follow with a short sightseeing tour of Richmond, capital of the Confederacy in the Civil War. The day ends in Williamsburg, between the James and York Rivers, where the very earliest European settlers established their first colonies. 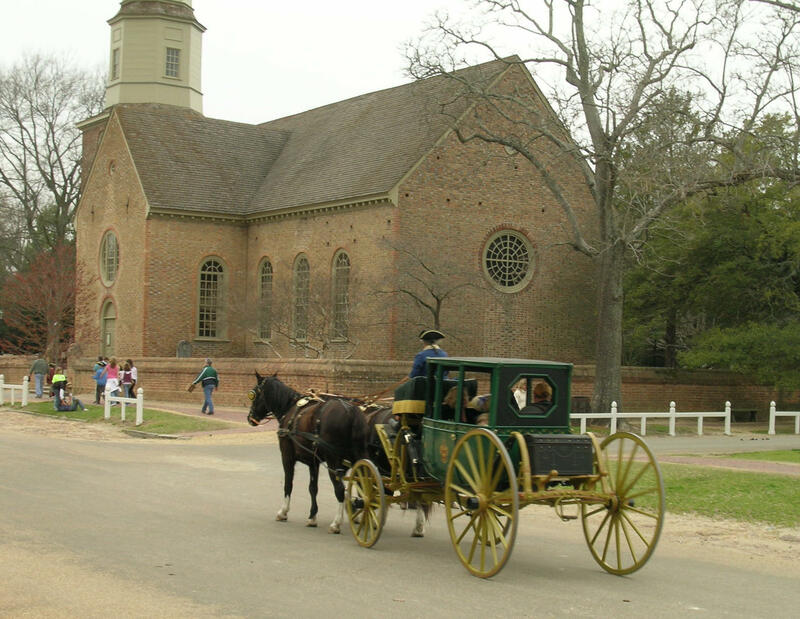 Today is dedicated to Colonial Williamsburg, where American heritage is proudly preserved in the reconstructed buildings and historical displays. Take a stroll down quaint streets and browse through homes, gardens, taverns, shops and exhibits. In the Hall of Burgesses, listen as costumed interpreters debate the controversial steps that led to the Declaration of Independence. Williamsburg – Washington DC area. The day begins with a visit to Mount Vernon, the beloved home of George and Martha Washington, overlooking the banks of the Potomac River. Afterwards, drive back to Washington. This evening, join the optional evening outing which features dinner followed by an illumination tour of Washington’s famous memorials. Transfer to the airport for your flight, or extend your stay in Washington or Boston for two nights. Maximum elevation on this tour is 5,046 ft.